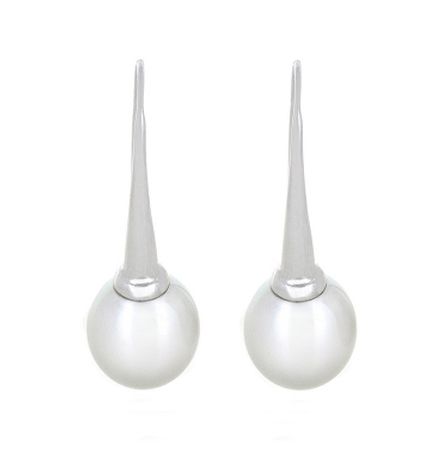 A pair of 18K white gold South Sea pearl earrings. 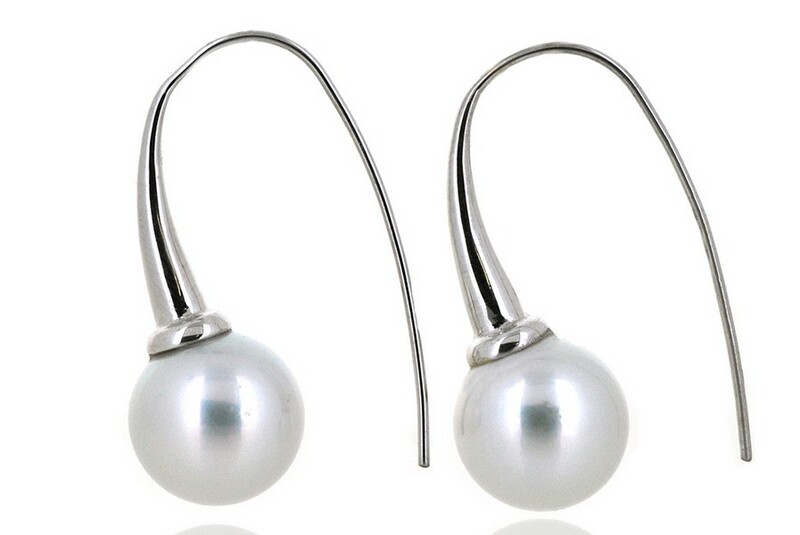 The pearls are round in shape and 13mm in diameter, with very good skin and brilliant lustre. 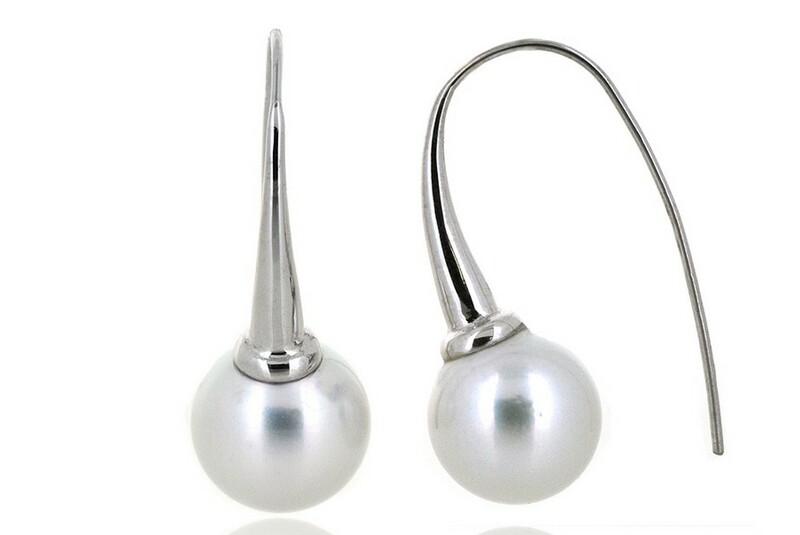 The earrings are a large shepherd hook style.